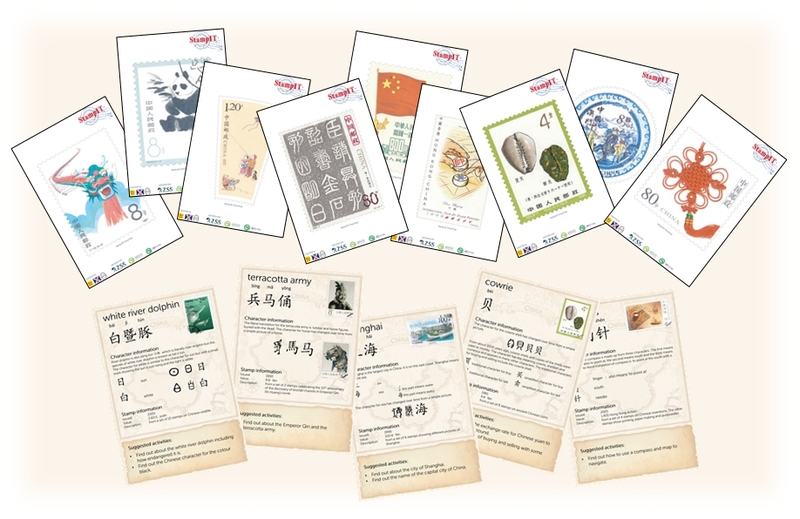 We have a series of packs and games to help with the study of language and culture using stamps. At present there are packs for French, Spanish, Mandarin and Japanese. 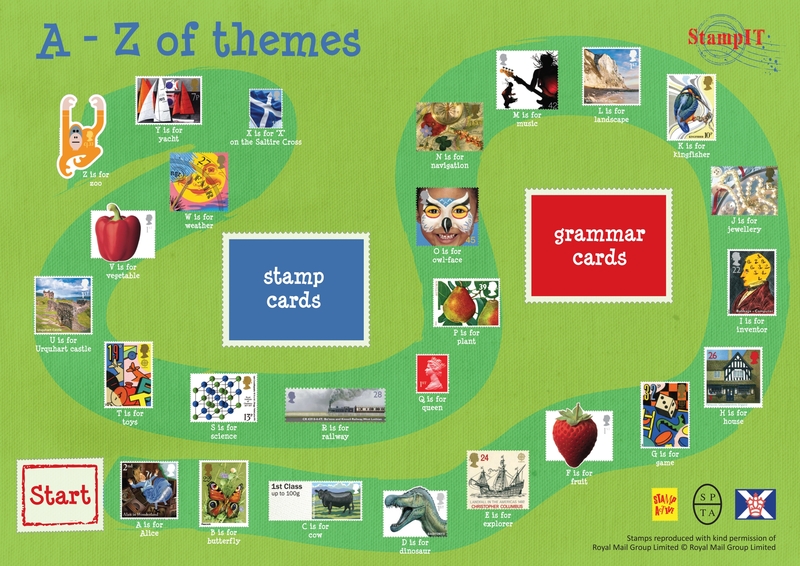 We also have a fun English game, A to Z of themes, which assists with learning some basic grammar along with fun facts about stamp collecting. The games are available FREE to download opposite. 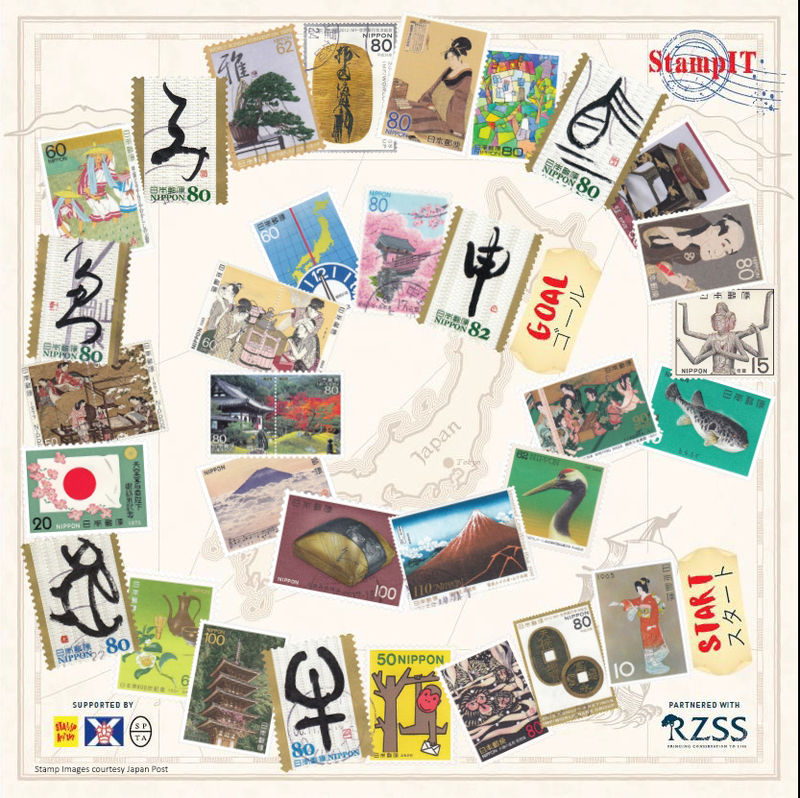 The Geography of Stamps game is a great tool for finding out about different countries around the world and which continent they belong to. All the game boards and cards are available in a hard copy professional game board finish at cost price. 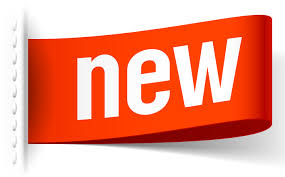 The prices vary depending on the game boards and cards so please contact the Youth Development Officer using the contact page on the website or click here. 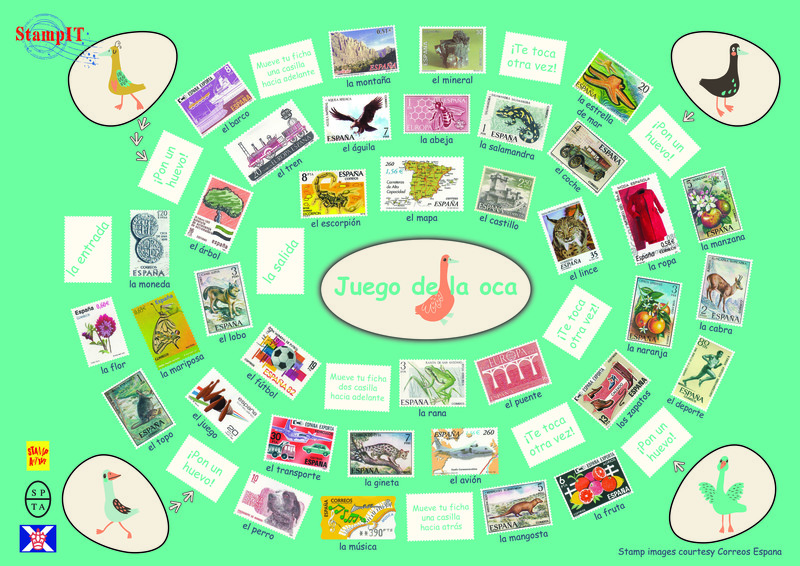 The Geography of Stamps Game Board. Click on the board to show on a new page/tab. The Game Board and all associated cards and playing instructions can be downloaded using the following Zip file. Please note this Zip file is 6MB in size. 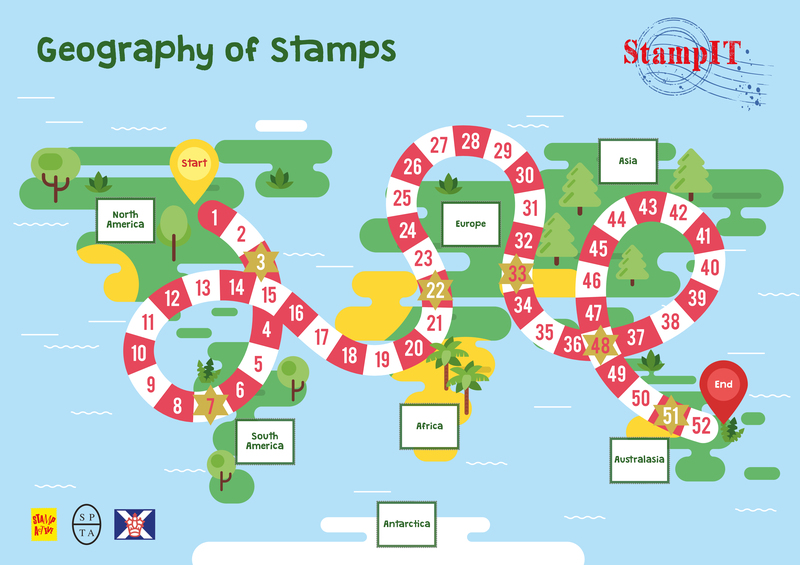 The Stamp Outreach Programme is run to provide an interactive way in which children can discover the world of stamps and how they can be fun. The outreach sessions have games and activities to develop skills and learn about stamp collecting. For more information on this please contact the ASPS Youth Development Officer using the contact page on the website, or click here. The flyer below shows some of the activities available. Clicking on each flyer will enlarge it on a separate tab/page. Sample cards for Chinese game. Click on the picture to show on a new page/tab. All associated cards and playing instructions for the Chinese game can be downloaded using the following Zip file. Please note this Zip file is 24MB in size. The Game Board and all associated cards and playing instructions can be downloaded using the following Zip file. Please note this Zip file is 5MB in size. The Game Board and all associated cards and playing instructions can be downloaded using the following Zip file. Please note this Zip file is 28MB in size. The Powerpoint display can also be downloaded as a Zip file. This Powerpoint presentation also has sound. The Game Board and all associated cards and playing instructions can be downloaded using the following Zip file. Please note this Zip file is 13MB in size. The Powerpoint display can also be downloaded as a Zip file. There are two competitions held during each years National Exhibition. One is a sheet competition and the other is a competition for the ALBA Salver. Full details regarding the rules and guidance can be found under the National Exhibition section of the website. Feel like entering. The entry forms for the 91st congress will be shown below later in the year. This page was last modified on 6th March 2019.